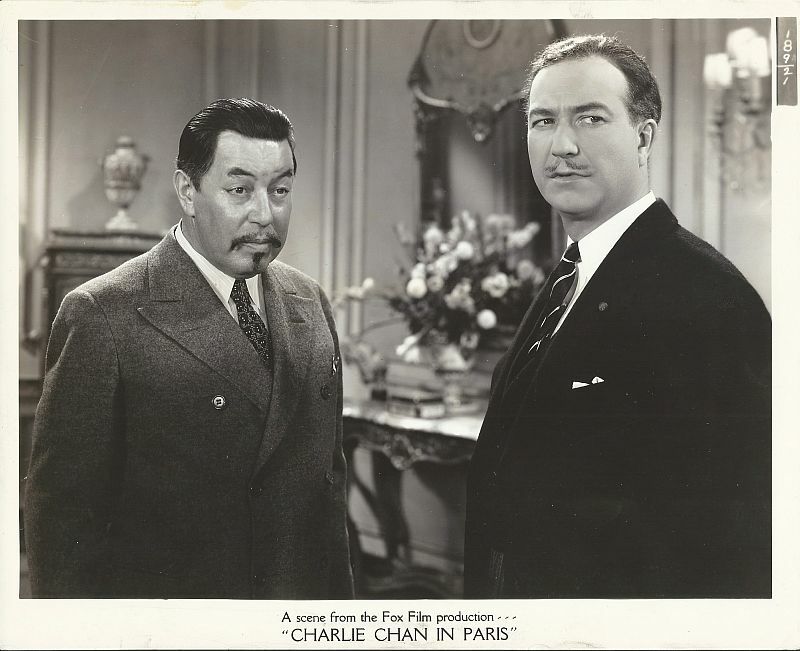 Gallery: "Charlie Chan in Paris"
Yvette Lamartine following the murder of Albert Dufrene. 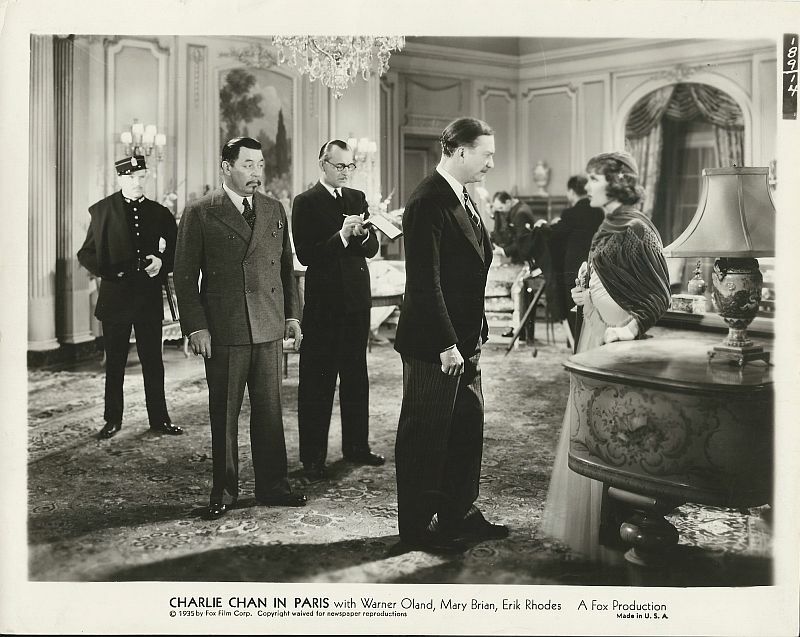 Charlie Chan with Inspector Renard. 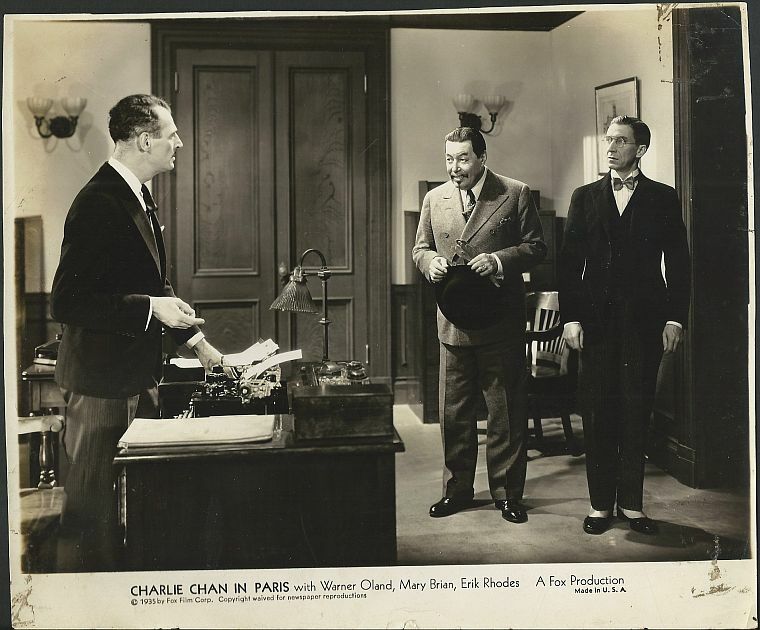 Charlie Chan arrives to speak with Paul Lamartine. 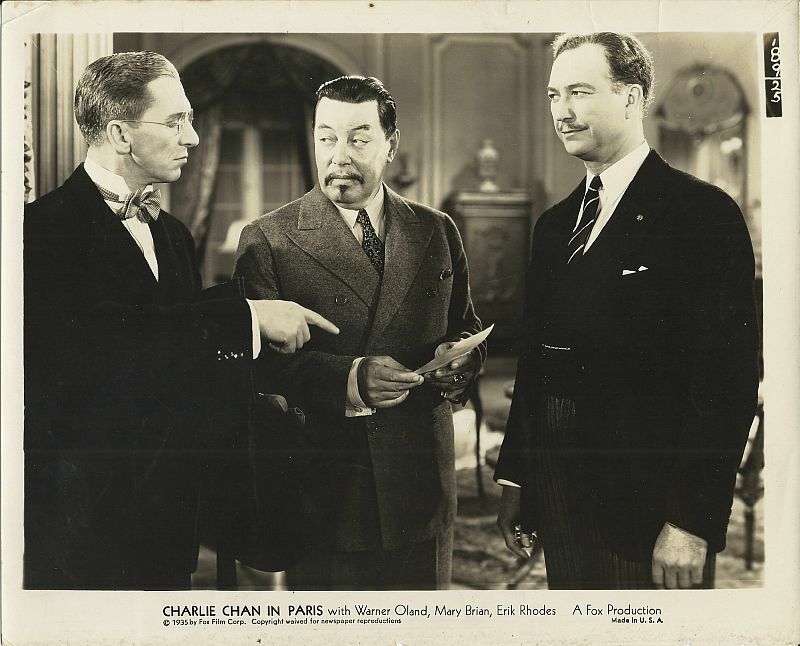 Charlie Chan shares information about bond forgeries with Henri Latouche and Paul Lamartine. 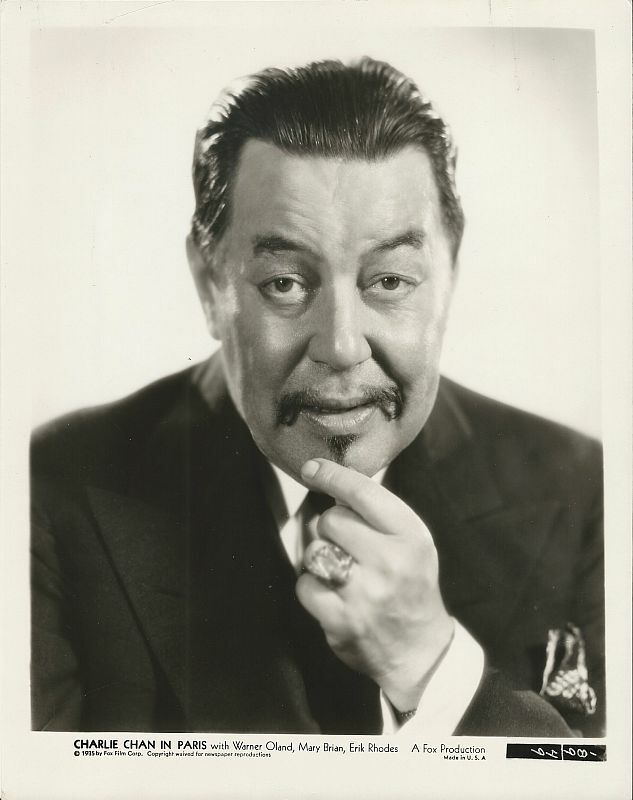 Warner Oland as Charlie Chan. 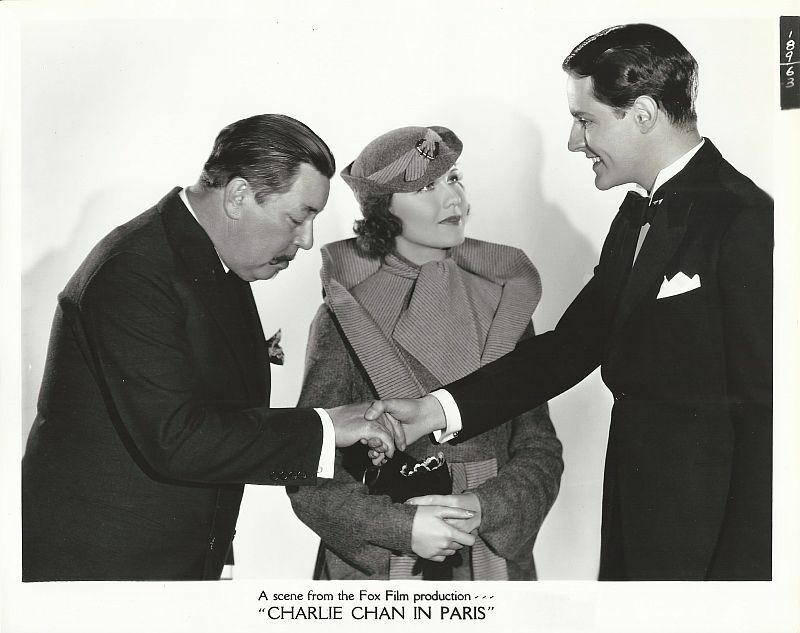 Charlie Chan with Yvette Lamartine and Victor Descartes. 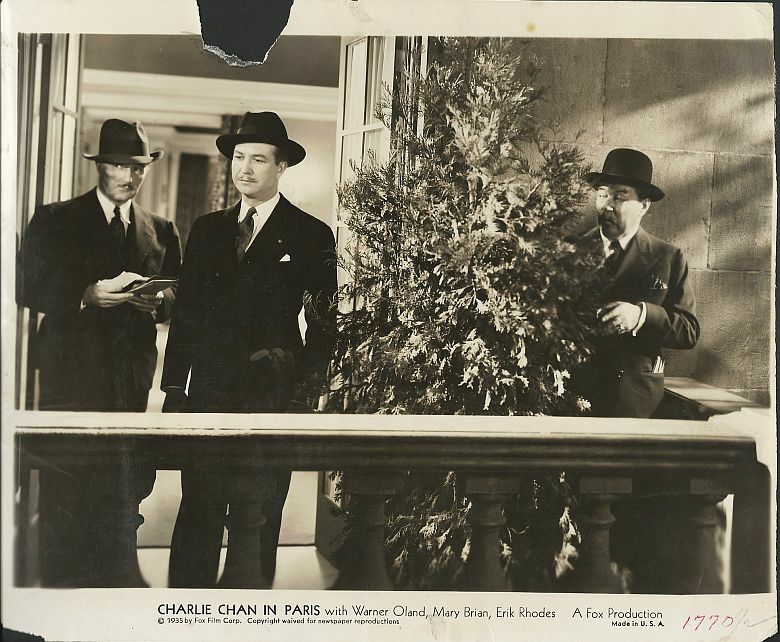 Charlie Chan hides outside of Nardi's apartment as Inspector Renard seeks clues.